Hi everyone and welcome. 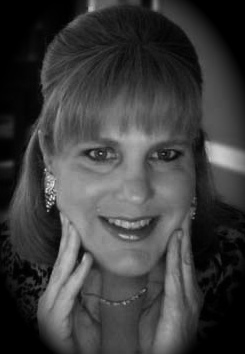 I’m Patricia Gay, an award-winning journalist in the greater New York City area, writer and editor of The Weston Forum. My idol is Julia Child. We share the same birthday. As a young kid, Julia instilled the passion in me to cook my heart out. For my wedding, a baker friend made my wedding cake and I made Julia’s strawberry filling for it. Had to have something from Julia as part of my special day. Love to chat with you so drop me an email at walnut36@aol.com. I think I like you, Patricia Gay…. Thank you so much for this info/conversation on the problems with ATK. I hope you are sincere, in who you are. I have been so frustrated with trying to print out recipes from ATK ; It’s been a favorite show of mine . & was told rudely , I must not know what I’m doing…. I’m not exactly a novice….I’m elderly, & in a lot of pain though…..
There’s always an overlay on the recipe, so you can’t print it out with the free membership. Now , KNOW that I HAVE bought many ATK & Country Kitchen magazines , for years at the book store, so I’m not trying to get for nothing , but can’t afford to pay that much , at one time , for a subscription . I am so grateful to all of you , because I was going to order their cookbook , and then would have been on their list ,& going through what many of you are…. (Been married 62 HAPPY years). Yes Patricia Gay ,Julia Child was a very special Lady, love the reruns .